The following article was written by Emulsive, and was originally published on December 6, 2017. A massive thanks to today’s guest for bearing with me over the past few months. It’s my pleasure to bring you all Thomas Slatin! Hi Thomas, What’s this picture, then? TS: This picture is of an old tree dipping its branches in Lake Otsego, near Cooperstown, New York. I have always been fascinated with water, especially when I capture it in my photographs. * Early photograph of me from my childhood, with my father pressing the shutter button. 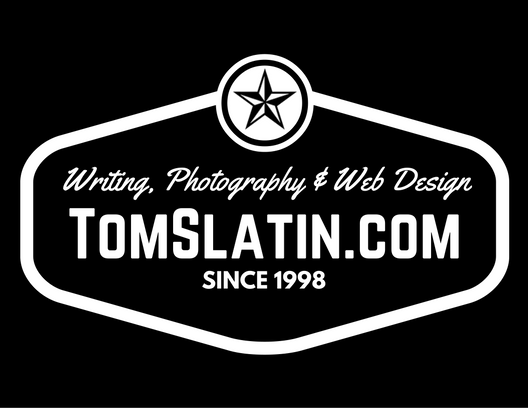 TS: My name is Thomas Slatin, and I am a writer, photographer, and website designer from New York, United States. I started my career in a completely different field; for 17 years, I worked full-time as an Emergency Medical Technician and Firefighter, though my true passion was writing and photography. Today I am a successful, self-employed, and multi-published writer and photographer, and website designer, living in New York State, though regularly traveling the world to photograph and publish written accounts of my adventures. All of this can be seen at my blog, TomSlatin.com. TS: I started writing and taking pictures at a very early age, probably around age eight. My father bought me my first film camera, which was a basic point-and-shoot which accepted 100 or 400 ISO film and had a manual flash. I used it for many years, until the film advance motor finally burned out, at which point my father gifted me his Canon AE-1 film SLR. TS: My father was the driving force behind my earliest photographs. He always told me to photograph and write about my life, simply so that if I lived to be very old and the memories began to fade, I would still have preserved the memories in physical form. Of course, this was in the early 1980’s, before the Internet, and long before digital photography. As time went on, I put my photography on hold during the majority of my high school and college years, as I wanted to focus on my academic work. Immediately following college, I began a very productive and exciting career in public safety, though somehow still was able to make time for my writing and photography. My wife, Angie encouraged me to take my passion and turn it into something much bigger than just a simple hobby. When the time was right, I resigned my position as an EMT/Firefighter, and began writing and photographing full-time. Angie is my muse, my inspiration, and often times, my location scout. TS: I shoot mostly high-end digital at the request of my clients, though in my free time I enjoy shooting film, specifically 35mm, 120mm, and 4×5 large format. So much depends on how I’m feeling at that particular time, and my thoughts and feelings on format are based solely on what I feel would be the best way to capture that decisive moment. No consideration is ever given to the cost of film, nor its development. TS: I’d like to take my show on the road. For way too long, I’ve been focusing on the Northeast United States. Ideally, I’d love to travel nationally, or possibly even internationally. The world is gigantic, and there is so much that I have yet to see, let alone photograph. TS: Since the beginning, I have always been drawn to abandoned, forgotten, and unused spaces. It took me a very long time to build up the confidence to approach property owners and managers for permission to photograph private property. It has paid off, as 9 times out of 10, the owners have been more than accommodating in letting me access and photograph their properties, with limited interruption. You have 2 minutes to prepare for an unknown assignment. You can take one camera, one lens, two films and you have no idea what you’ll be shooting. What to you take with you and why? TS: I would take my Canon AE-1 camera with my 50mm lens. This camera was given to me by my father, and was my very first film SLR. It is built like a tank, survived my childhood, and in my opinion, takes fantastic pictures. As far as film is concerned, I like Kodak Ektar 100 ISO, and anything that Ilford produces, ideally ISO 100. TS: If I had an unlimited supply of film, I would have to take my 4×5 camera to New York City. New York is my home town, and there is literally and endless and ever-changing supply of new and interesting things to photograph. The last time I took pictures in New York City was so much fun that I didn’t want to leave. New York City is a great place to take pictures, the culture is amazing, and nobody really notices when you setup a camera on the street. TS: If I had one last roll of film to use, it would be Ilford Pan F Plus, ISO 50. I shot several rolls of this film and developed it at home, years ago. It was the best black and white film I think I have ever used. TS: The biggest misconception is that film photography is a fad, or some sort of obscure format. Despite the advantages of digital, film photography is still taking place. In recent years, analog has become vogue, and for whatever reason, there has been a sudden resurgence of using old-school things like record players and film cameras. Despite the fact that I have the latest and greatest and most cutting-edge digital equipment at my immediate disposal, the process of exposing, developing, and printing photography using age-old traditional techniques is something that digital simply cannot replicate. I laugh whenever someone picks up a cell phone or digital camera, takes an exposure in automatic mode, and calls themselves a photographer. It is my opinion that a real photographer possesses the skills necessary to produce quality images using film, manual focus, and manual exposure controls. TS: It is my personal belief that during the course of my lifetime, we will see the popularity and demand of analog photography return to almost where it was prior to the digital revolution. It is unlikely, but I would love to be able to drop off my film at a local camera shop, and return later in the day to pick up my prints. A massive thanks to Thomas for taking part and if you’re not already connected with him over on Twitter or Instagram, give him a nudge. Better yet, go and see more of his work over at his website. We’ll be back next week with another fresh interviewee for you to dig your teeth into. In the meantime, keep shooting folks.